There is infinite, endless respect about innovative technology. Google already established a fine expression of an online search engine, making incredible progress in service over time, and providing continuing improvement in technological infrastructure power in telecommunication digital satellite involvement. Google Street View International Edition is getting an increasing amount of coverage over time in a high amount of countries all over the World. I honestly wouldn’t take too much advantage of this technological application. I rather check out scenery in person while on a travel vacation, and to not give away too many surprises before going there. For the life of me I will never understand why Street View hasn't done Puerto Rico yet. They did the U.S. already, even Hawaii which is in the middle of nowhere. Vadsø, Norway at 70°N. The white radar in the background was paid for by the U.S. government and is their property. It is located only 40 km / 24 mi from the Russian border. The radar is part of the American (NATO) missile shield. The Americans are now planning to upgrade the 20 year old radar for $50 mill. Lindesnes, Norway at 57°N. As far south as you can go in Norway. Imola racetrack (Autodromo Enzo e Dino Ferrari), Italy. The place where legendary F1 driver Ayrton Senna died 20 years ago. Gekås Ullared, Sweden. This department store is actually one of the most popular destinations in Sweden. 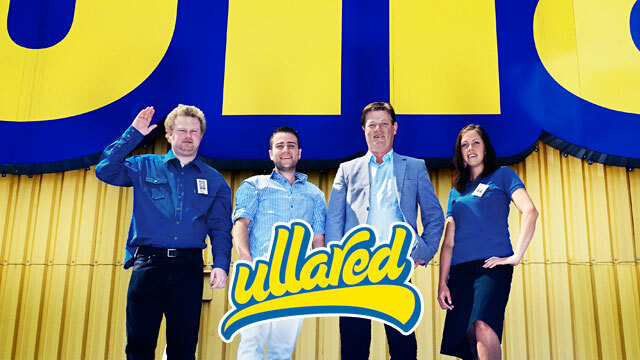 The Swedish reality series, Ullared, depicts the life in and around the store. Last edited by nei; 01-01-2015 at 06:02 PM..
i lold when i first saw this one. denmarks 2nd highest mountain, yvding skovhoj (172 m.a.s.l). first i thought all people there were danish tourists enjoying the "mighty" view from the top. but later on i saw that there was some kind of competition going on there. bicycling perhaps? I want to know why they haven't done Afghanistan yet. I mean, WTF is up with THAT? For such a giant landmass, Asia is rather shy, lol.